Child psychiatrist and Harvard professor Robert Coles has actively dedicated much of his life to exemplifying, teaching, and writing about the moral life. 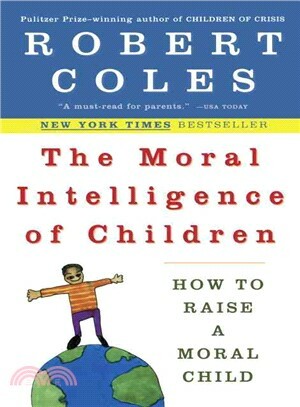 In his wonderful new book, Coles illuminates the ways in which children become moral or not so moral adults, drawing on case studies, talks with parents, visits to nurseries and classrooms, and interviews with children. No subject could be more important and more timely-for all Americans, but especially for parents. In the tradition of such bestsellers as Cultural Literacy and Emotional Intelligence, The Moral Intelligence of Children identifies a new type of intelligence essential for success and fulfillment in life. This Plume edition will be used by parents and teachers for years to come as the authoritative guide to children's moral development. ? 7 weeks on the New York Times bestseller list! ? First serial in Time magazine. ? Major nationwide press. ? Robert Coles, a nationally recognized expert in child development, deals here with one of the hottest issues today. Robert Coles is professor of psychiatry and medical humanities at the Harvard Medical School and a research psychiatrist for the Harvard University Health Services. He has written over 50 books, including the Pulitzer prize-winning five-volume Children of Crisis and the bestselling The Spiritual Life of Children. The James Agee Professor of Social Ethics at Harvard, he also teaches at Duke University during the spring semester, where he devotes much of his energy to the magazine DoubleTake, which he founded in 1995 and which is still based at Duke's Center for Documentary Studies.